Canoe Kids is a day camp experience concentrating on all aspects of safe paddle sports. Campers (ages: 7 – 12) will be introduced to canoeing, kayaking, water safety, swimming, field sports and cooperative games/activities. The camp runs from 9am until 4pm daily. Before and After care (8 am - 5 pm) is available for an additional fee. Throughout the week, campers will explore the Gananoque River with qualified instructors in canoes and kayaks, learning the basics of boating safety and developing their paddling skills in a fun and safe environment. Along with other club programs, campers will have a great time challenging their own abilities while developing self-confidence and teamwork skills. Canoe Kids Campers will learn the fundamentals of paddling through a progressive learning approach. 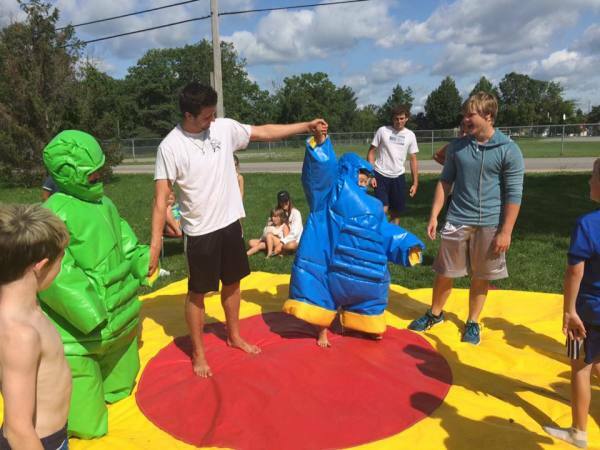 The program reinforces important personal skills such as teamwork, leadership, communication, building self-confidence, and teaches the importance of healthy and active lifestyle. All Gananoque Canoe Club programs are led by friendly, dependable, knowledgeable and certified staff. ​It all started in 1906 with a gang of boys who loved the river and canoeing. They had so much fun together that others joined in, and they called themselves a canoe club. Over a century later, the Gananoque Canoe Club continues to impart lifelong canoeing and kayaking skills to its members, giving them the opportunity to excel as individuals and as part of a team. The Positive Opportunity Partnership (POP) subsidy assists families with children who would otherwise be unable to participate in recreational programs.